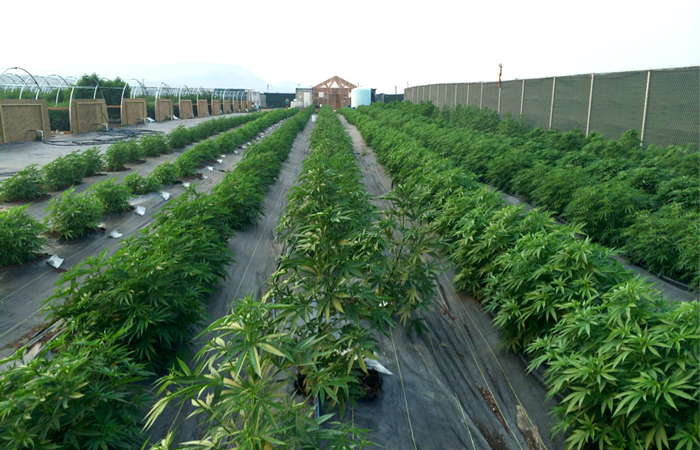 CannaSol Farms in Okanogan, Washington, a rural area about 4 hours east of Seattle that was established when the state legalized marijuana. The legalization of recreational marijuana opened up similar agricultural opportunities in Massachusetts. The recent passage by legislators on Beacon Hill of a bill allowing the cultivation, sale and possession of recreational marijuana has, among many other things, created opportunities for Berkshire County farmers to grow a high-yield cash-crop, and for towns to find a new revenue stream. Back in November, Bay State voters approved a 9,000-word ballot initiative by a margin of 53-46 percent. The highly controversial proposal allows the use, cultivation, possession and distribution of recreational marijuana for individuals who are at least 21 years old. And it created a state Cannabis Control Commission appointed by state Treasurer Deborah B. Goldberg. The state legislature, however, had to work out the details and pass a law affirming the ballot measure. Consultant Brandon Pollock, left, Theory Wellness Inc President Nicholas Friedman, and CEO/CFO Brad Kayton ask the Great Barrington Selectboard for a letter of non opposition so they can proceed with plans to build and operate a medicinal marijuana dispensary on Stockbridge Road. The sale of medical marijuana was approved in a 2012 ballot initiative, which passed statewide with 63 percent of the vote and became law the following year. That program is administered by the state Department of Public Health. The recreational pot law will not affect existing law regarding medical marijuana facilities or the operation of motor vehicles while under the influence. Section 59 of “An Act to ensure safe access to marijuana,” as the legislation is known at the Statehouse, addresses the agricultural aspect of what will surely become a multi-billion-dollar business. That includes lands protected under an agricultural preservation restriction and, for purposes of assessment and taxation, land used to grow pot would be subject to the provisions of Chapter 61A, a state law that provides tax break for agricultural and certain other land uses. 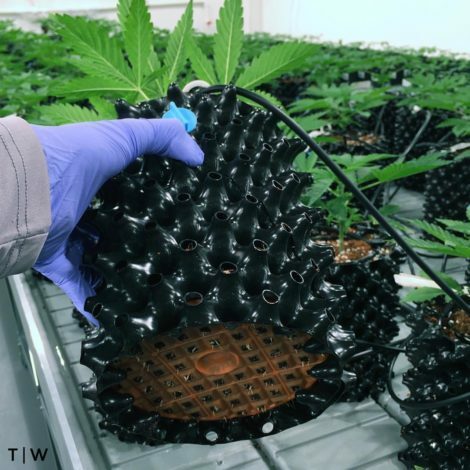 Medical marijuana being grown hydroponically by Theory Wellness at a facility in Bridgewater, Mass. That will change now that the product has become legal for adults across the board. That prospect has some farmers, including Sheffield’s Dobson, excited. “My message has always been ‘Give consumers a choice; don’t legislate this so that only the richest people benefit,'” Dobson said in an interview. Dobson said the medical pot regulations had always been dominated by the security concerns, which he characterized as a “wedge issue,” though he acknowledges that farmers don’t want to expose themselves to thievery and will by necessity take appropriate measures to protect themselves. “No farmer is not going to provide the measures needed to protect their crops,” Dobson explained, adding that growing marijuana for industrial hemp would require even less security because that kind of marijuana has a very low concentration of THC, the active ingredient that causes pot smokers to get high. Dobson has been an organic farmer for more than 30 years. 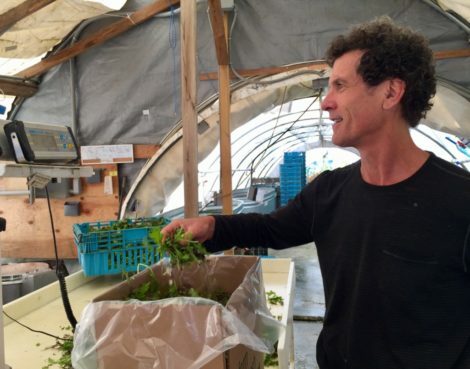 His operation, Equinox Farm, produces mostly salad greens. He grows 2,020 pounds of baby arugula and spinach, and Asian greens in July and August alone. Dobson sees the possibility of marketing his marijuana in a similar way. Farm to table has become a popular agricultural and culinary theme in Berkshire County. So how about “farm-to-bong” or “farm-to-pipe?” he mused. 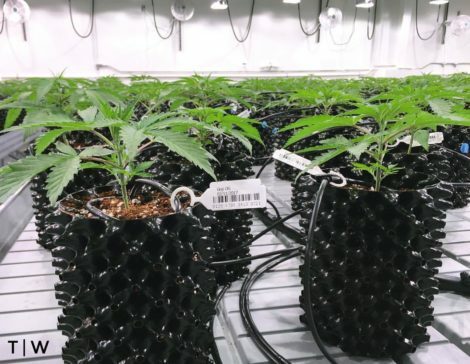 Equinox Farm sells organic products and Dobson is convinced that he could produce an organic marijuana product that is far superior to what is being grown in warehouses for the current medical marijuana market. But it’s not clear whether marijuana can even be labeled organic because of objections from the federal government and the U.S. Department of Agriculture. The specially designed receptacle for growing medical marijuana that allows measured irrigation. Photo Courtesy of Theory Wellness. State farmers who are interested in growing marijuana will have to apply for a license, but lawmakers say the barrier to entry will much lower than it was for those who wanted to cultivate and sell the medical marijuana — evidently because of pressure from farmers on lawmakers, as well as the greater demand for the product anticipated with the legalization of the recreational side. In an Edge interview, state Sen. Adam Hinds (D-Pittsfield) said a two-year wait for a cultivator’s license which was in place for the medical cannabis program, has been eliminated and fees on cultivators have also been greatly reduced. “The two-year wait for licenses greatly advantaged existing medical operators,” Hinds said. And there is the question of taxation, which was undoubtedly one of the reasons lawmakers found the proposition attractive. The maximum total tax under the law will be 20 percent — 6.25 percent state sales tax, 10.75 percent marijuana excise tax and an optional local sales tax of up to 3 percent for towns that host a retail outlet. Medical marijuana will remain untaxed. Pignatelli said he thought the total tax was a little too high, even though the 20 percent limit appears to be a compromise, since the state House of Representatives in its own version of the bill had set a maximum tax of 28 percent, while the Senate settled on 20 percent and the voter initiative set the maximum at 12 percent. Using a combined 10-percent tax rate and an additional 2-percent local option, a state Department of Revenue study earlier this year estimated that in the first 12 months of the program, Massachusetts could expect to see between $45 million and $83 million in tax revenue from the sale of recreational marijuana. Things improve in the second year, when the state could expect revenue between of $93 million and $172 million, on sales of anywhere between $707 million and $1.3 billion. Hinds said he thought the rate the legislature settled on was competitive with other states. The state of Washington program taxes recreational cannabis at 37 percent; Colorado at 29 percent, and Oregon and Alaska at 25 percent. “We’re still among the lowest in states where it’s been legalized,” Hinds said. 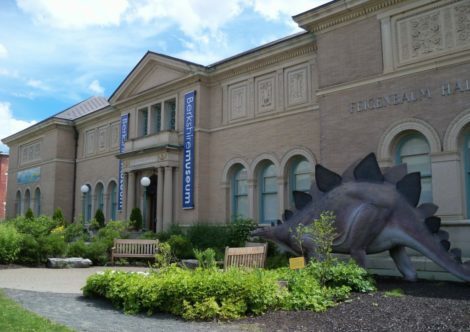 One such facility is about to open in Great Barrington. Theory Wellness, Inc. is putting the finishing touches on a 2,450-square-foot building housing a medical marijuana dispensary at 394 Stockbridge Road, on a parking lot between Laramee Cleaners and the Price Chopper on the east side of Route 7. Theory Wellness President Nick Friedman told the Edge he and his crew “have been working hard to complete construction” on the dispensary. 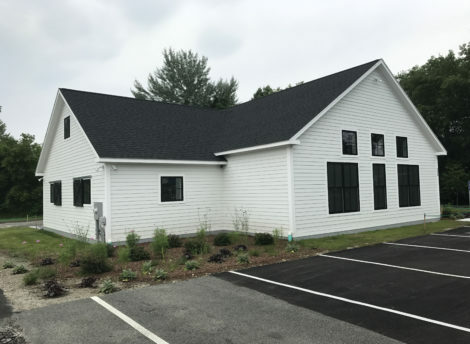 That construction is now complete and Theory Wellness, based in Bridgewater, received a certificate of occupancy July 19. “We will be working over the next month on hiring, training and furnishing the dispensary and hope to be able to open to patients sometime late August,” said Friedman, who did not respond to a subsequent message asking whether he intends to apply for a license to sell recreational marijuana. 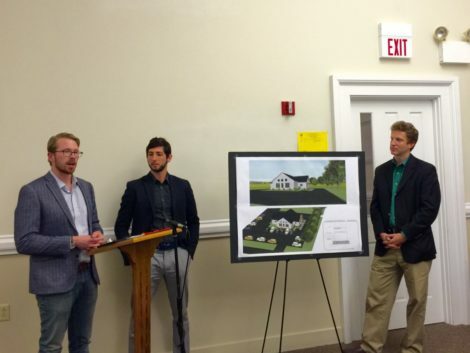 At the time of Theory Wellness’ presentation to the Great Barrington Select Board a year ago, it looked like it would be the first medical marijuana facility in Berkshire County. But now there are three others in the final stages of permitting and construction in Pittsfield. In addition, Becket has rejected two proposals for a medical marijuana facility from Ipswich Pharmaceuticals but the company is eyeing another location in West Stockbridge. Another issue that arose during the debate on the legislation on Beacon Hill was so-called “expungement” or the striking of past pot-related criminal convictions, if that offense is no longer considered illegal under the state’s new marijuana law. The House version of the bill opposed expungement on the grounds that it should be part of a broader look at criminal justice reform, while the Senate advocated for expungement provisions. In the end, a compromise was struck whereby a public awareness campaign would be launched to make sure convicts are aware that their records can be sealed. One of the more controversial parts of the bill involved not the local tax option, which everyone seemed to like, but local control over recreational cannabis retail operations within a municipality’s boundaries. For example, can a town simply ban the retail pot shops? 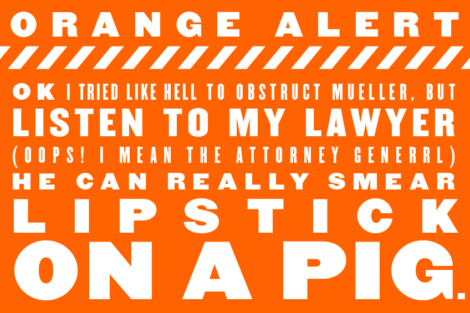 The law split the difference. The authority to ban marijuana shops hinges on whether the town’s residents voted against the recreational marijuana ballot question last November. If the majority of a town’s residents voted against the question, officials can ban the shops. If the majority of the town’s residents voted for the measure, then only the voters themselves could ban the shops, either through a town meeting or referendum. Every town and city in Berkshire County — and all but seven in western Massachusetts — voted for the recreational cannabis law. 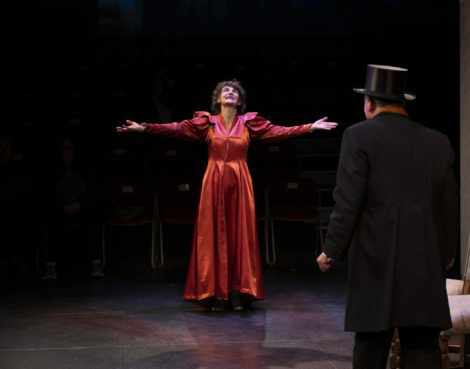 Great Barrington, for example, voted for the measure by a margin of 64-36 percent, considerbaly greater than the statewide margin of 53-46 percent. Some towns, such as Egremont and Lenox, have enacted temporary moratoriums on pot shops until planners can come up with regulations that govern the siting and operations of the facilities. Two other farmers contacted by The Edge are not sure whether they want to enter the market. 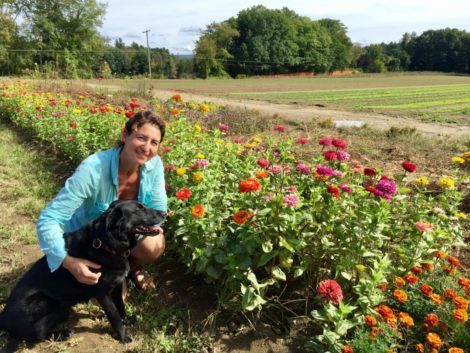 Laura Meister runs Farm Girl Farm in Sheffield and leases land from Dobson. Meister said her farm is small and it’s doubtful she would want to grow pot but she agrees that it would be a better product if grown outside. Jim and Annie Schultz raise chickens, turkeys and pigs — along with 40 different vegetables — on 10 acres at Red Shirt Farm in Lanesborough. The economic impact of the law remains unclear. But it does look like lots of people will want a piece of the action. “It comes down to what the market will bear,” Pignatelli said. “We can’t tax ourselves out of business, but nor can we bail out the budget with [pot] either.